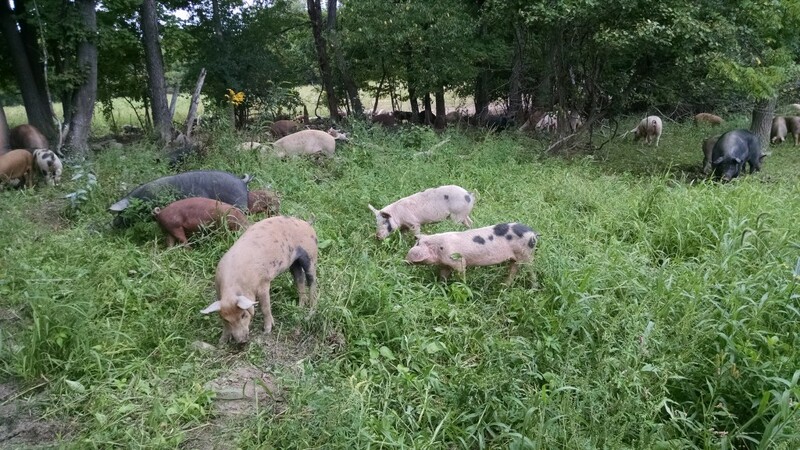 The Piggery is a family-owned butcher shop featuring pork and house-made charcuterie from their Trumansburg, NY-based farm, as well as from other neighboring farms. They specialize in raising heritage breed pigs on pasture. Their pigs are fed a balanced diet of greens, sunshine, and small GMO-free grains sourced locally. The pigs are always given access to green fields and are never confined. The meat produced by these animals is some of the best around, and produces some of the finest charcuterie and deli meats money can buy. Their deli meats have no artificial ingredients or preservatives.